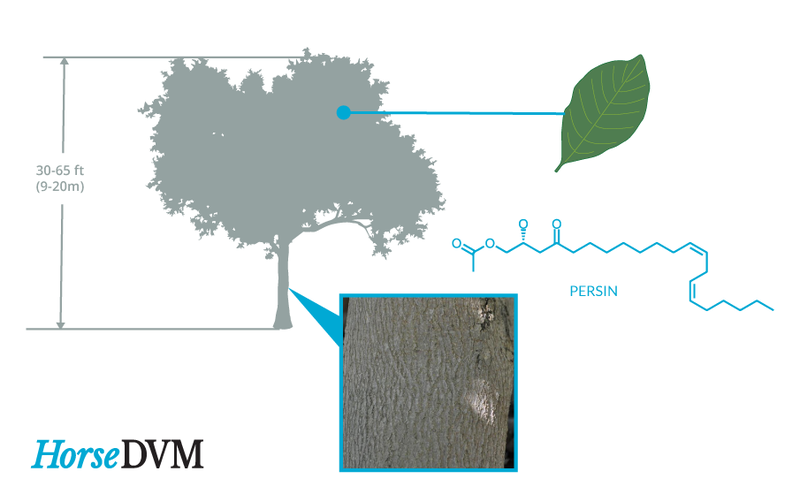 Persea americana also known as the avocado tree, is a large dark green evergreen tree with a low-branching open canopy. 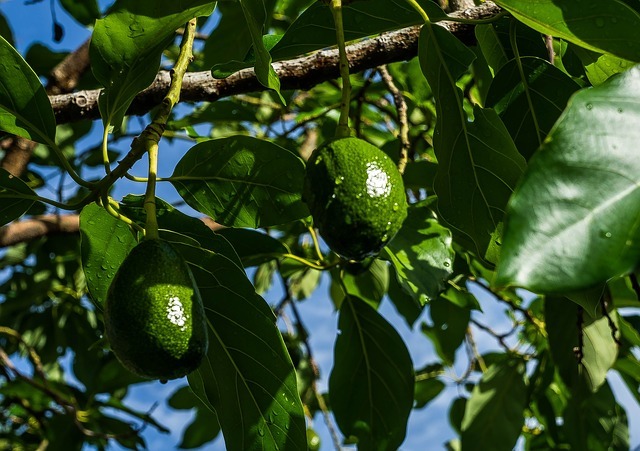 It is often grown for the production of pear-shaped avocado fruits, which are edible to humans, and found in most grocery stores around the world. Each tree produces between 100 - 500 fruits per year. 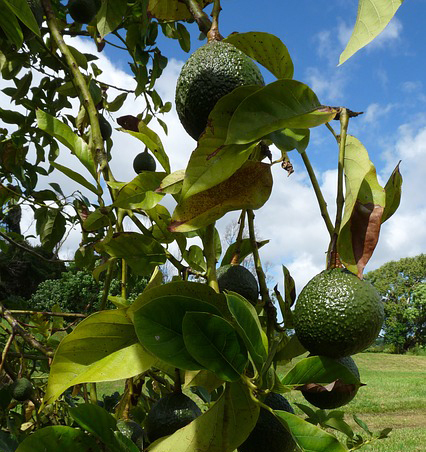 There are several different species of avocado trees which can be tall and upright or low and spreading. They blossom small greenish-yellow flowers that grow where the leaves join the branch. Consumption of the fruit, seeds, leaves, or stems of avocado can be toxic to horses. The main toxic component in avocado is persin. 30g leaves per kg of the horse's body weight can be fatal to an average sized horse. Lower doses can cause colic. Lorbiecki, J.; Kwon, S. Y.; Hamer, E.; Rubin, E.; Priest, D.; Lopez, C.; Robert Poppenga, J. P. Lethal avocado toxicity in three horses in North America. Proceedings of the 59th Annual Convention of the American Association of Equine Practitioners, Nashville, Tennessee, USA, 7-11 December 2013 2013 pp. . 2013. Galey, F. O.; Read, D.; Hebbert, B.; Blumenshine, K. M. Facial edema with myopathy in horses exposed to avocado (Persea americana) plants. Annu Meet Am Assoc Vet Lab Diagn, 37 33 . 1993. Avocado (Persea americana) poisoning of horses Australian Veterinary Journal. 1991. Bee, J. G. Suspected avocado poisoning of a horse. Mod Vet Pract, 49(11), 52-53. 1968.